At POWTECH 2019, HEINKEL is presenting the H 630 C in compact design, a horizontal peeler centrifuge for chemical applications. Due to the reduced distance between the drive shaft and the support foundation, the centrifuge has considerably less weight and optimal vibration behavior. COMBER has developed an effective heel break system for its Pressofiltro filter dryers to break up the heel remaining after the product has been discharged. 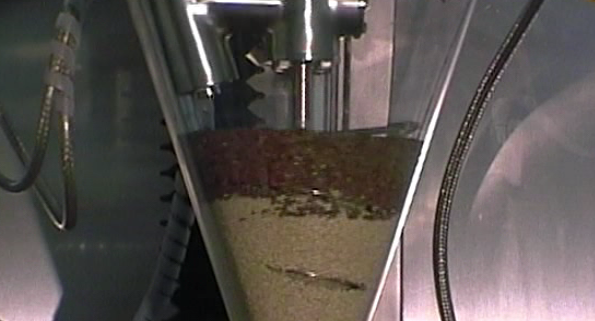 It ensures there is no heel left after filtering thus ensuring maximum product yield. Even in times of increasing digitalized simulations, trials in lab-scale dimensions are a necessity for verified quality assurance and the new development or optimization of compounds, active ingredients and production procedures. The functional lab-scale dryer BS-miniDRY from BOLZ-SUMMIX has a modular design and enables the successful and verifiable performance of processes such as drying, blending, re-wetting and product refining in kilo-scale volumes. With the inerting system HEINKEL Centripurge, according to SIL 3, the HEINKEL Drying and Separation Group developed an unprecedented inerting system for areas exposed to explosion hazards. Based on state-of-the-art technology and TÜV-tested, it guarantees compliance to the latest safety regulations with reference to actual standards. The system is suitable in particular for applications in the pharmaceutical or chemical industries with highest requirements in respect to quality and safety, such as in the manufacture of active pharmaceutical ingredients, agrochemicals and dietary supplements. COMBER TURBODRY® combines highest drying efficiency, wide operational flexibility and maximum product security. 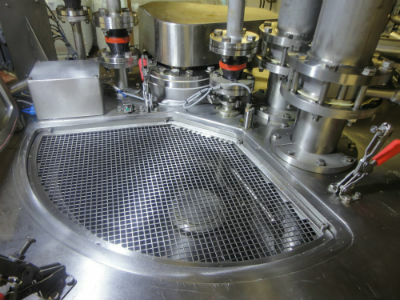 An important manufacturing step in production of pharmaceutical intermediates is contact vacuum drying after solid/liquid separation in centrifuges, nutsches or other filters. The manufacturing of special products often will require a very demanding production process. At the Belgian sugar manufacturer Raffinerie Tirlemontoise high quality products are produced. For its production, the manufacturer looked for a new centrifuge solution and chose the specialist HEINKEL. The supplier convinced with process know-how for special centrifuge machines and many years of experience, also showing the necessary flexibility during planning and staying within the demanding time schedule. 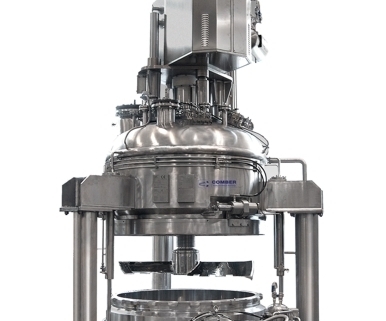 The BOLZ-SUMMIX conical screw mixer ensures a gentle and effective mixing process for bulk solids with a sensitive particle structure as well as for demanding or valuable products for the pharmaceutical, chemical or food industries. Low mechanical forces will avoid product demolition hence combined with low energy consumption by asking for just small drive power. 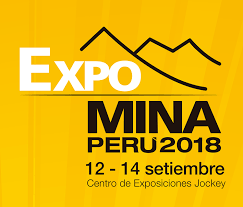 With more than 100.000 visitors and over 1.200 exhibitors, the Expomina is among the most important mining trade shows in the world. In the Peruvian capital Lima, HEINKEL presented its extensive product portfolio for centrifuges from 12 to 14 September 2018 at the joint booth with its partner ABL International. Looking back at the most important exhibition of the process industries, HEINKEL Drying and Separation Group is very satisfied with the results: Numerous visitors to the booth at ACHEMA 2018 convinced themselves of the expertise of the HEINKEL Group which presented its wide portfolio, innovations as well as selected product highlights. High-quality 3D animations on a five-by-three meter video screen illustrated the processes of the various machines and attracted a lot of attention. COMBER is presenting select product highlights as well as the sophisticated functionality of its tried and tested Condry vacuum dryer at this year’s ACHEMA. 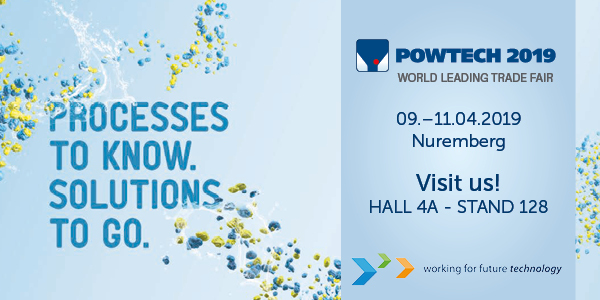 Visitors to stand B8 in Hall 5.0 can experience the full expertise of the specialist for (nutsche) filters, filter-dryers, paddle dryers and pan dryers.